Microbiome is a term that refers to the collection of microorganisms in a particular environment, such as in the body or on the skin. Microbiomes are specialized and vary according to factors like pH and moisture in the host. These microorganisms, which I to refer to as bugs or flora, perform important roles; from aiding the absorption of certain nutrients, to providing immunity and even balancing mental health. Learning to nourish and live in harmony with the bugs in our microbiome is an important component to maintaining healthy skin. Most people think the helpful bacteria that reside in our bodies are mainly in the gastrointestinal (GI) tract. However, our skin is also covered with them. The skin supports a delicate ecosystem of microorganisms, including yeast and bacteria. In fact, one square inch of skin holds up to 500 million microorganisms. As much as it may disturb us to think of our skin being covered with tiny bugs, we should be happy to have them on board. They provide immunity and protect our skin from unwanted harmful bacteria and other invading pathogens. There are several different microbiome locations throughout the body, and recent research suggests they are all connected and communicate with each other. As most nutritionists and skin care professionals are aware, gut health is often reflected in the skin. When gut flora is out of balance, people experience allergies, acne, rashes and increased symptoms of rosacea and psoriasis, all signs of underlying inflammation. Similarly, when skin is stripped of its healthy flora through aggressive treatments or the use of harsh chemicals, the same manifestations result. A proper diet, rich in pre- and probiotics, can help to maintain a healthy bacterial balance and, in turn, promote healthier skin. Feeding our beneficial skin and gut bacteria by eating probiotic-rich foods and supplements, along with fiber-rich foods, and avoiding excess sugar in the diet will also help to ensure the good strains thrive in the digestive tract. Probiotic microorganisms can be found in supplements or fermented foods such as yogurt. In relation, prebiotics can be ingested to provide a source of food for the probiotics. 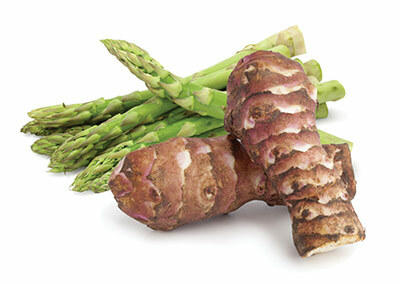 These foods are high in inulin and fructooligosaccharides (FOS), such as asparagus and Jerusalem artichokes. Prebiotics and probiotics work together. Research points to the ability of topical probiotics, such as lactobacillus, to reduce both skin inflammation and inflammatory conditions including acne. It seems sensible to nourish your flora from the inside out and outside in, and research will likely continue to build support for this approach over time. Application of a topical probiotic, combined with oral ingestion through diet or supplementation, is a great way to ensure the microbiome is nourished. Here are some tips for your daily routine to support and protect your microbiome. Fermented foods. Eat a daily serving of fermented foods, like yogurt, kiefer, kimchi, sauerkraut and miso, which are natural sources of probiotics. Supplement. Individuals with acne, especially those who have taken antibiotics for years, may have compromised gut flora. They may need the added benefit of a probiotic supplement in addition to regularly consuming fermented foods. When using probiotic supplements, try changing strains every month to establish a diverse colony of flora. For those on antibiotics, consume probiotic-rich food or take a probiotic at least two hours before or after a prescription. Topical yogurt.. 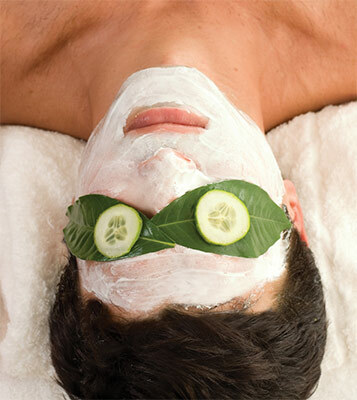 Apply a yogurt facial mask weekly. Adjust your skin care. Try topical products containing pre- and probiotics. For prebiotics, look for FOS or other oligosaccharides on the label. For probiotics, lactobacillus or Enterococcus faecalis SL-5 are both beneficial. Mix it in. Break open a probiotic/prebiotic supplement capsule and mix into a portion of your favorite nighttime moisturizer to use as an overnight probiotic treatment. We often do not realize how many germs and dirt from unexpected places we add to our face during the day. To fend off unwanted bacteria, recommend and use the following guidelines. Sanitize technology. Clean cell phones and keyboards daily with an alcohol wipe. Wash linens. Wash your pillow case daily. A fragrance free, eco-friendly laundry detergent for bedding and towels is recommended. Hands off. This one is hard, but advise clients to keep their hands off of their face. Many times during the day, we unconsciously touch our face. At the very least, advise clients to keep hands clean by washing several times per day to avoid transferring bacteria to their skin. Just soap and water. Do not use antibacterial soaps, scrubs or gels on the face or the body. Antibacterial soaps and hand sanitizers can kill beneficial bacteria and also create stronger strains of harmful bacteria. Regular soap and water work just fine. The human microbiome and its far-reaching implications are being explored at a rapid pace. Connections have also been made from our circumstances at birth, to our present habits and lifestyles in adulthood. We can’t change the past but we can work within the present to nourish our vital microbiome through excellent nutrition and smart choices. This includes the drugs we take and the choices we make in our personal care routines. Together, they will ensure that our microbiome is as healthy as it can be. Ginger Hodulik, MS, is a Certified Nutrition Specialist (CNS) with both bachelor’s and master’s degrees in nutrition. She has worked in clinical practice and wellness program development and implementation. 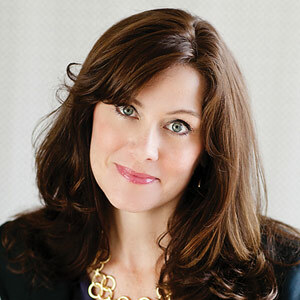 Currently, she serves as co-owner and VP of R&D for DermaMed Solutions.